Angie Wookie is HOME in Harveysville with Linda, Joe and black lab Sammie who was THRILLED to have a friend in her house, she was giving Angie LOTS of big lab licks and finally Angie replied, enough please! Sammie respected that and they did really well together. 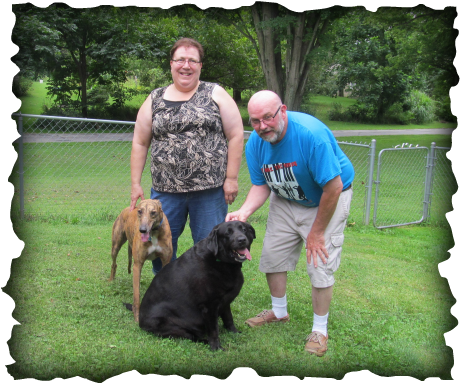 Joe had a greyhound 45 years ago and was thrilled to have Angie join their family. Angie knew she was home she immediately started leaning against Joe and Linda, too cute.